Nebraska had its fair share of struggles on the field in 2017. When coach Scott Frost and his staff took over, they went to work bringing in over 50 new players. While the roster's overhaul helps upgrade the talent, it's only one part of the equation in fixing all of the Huskers' issues. Spend some time around Frost's team and you get the sense that upgrading the mentality and culture was just as important as the players' physical development. And that perhaps one of the program's new players will not only upgrade talent, but also the culture. Graduate transfer defensive back Tre Neal was part of a special culture at Central Floria. A close bond was formed in Orlando not only within the locker room but also between the players and coaches. Competition is one of the key ingredients that allowed UCF to go from being a winless team in 2015 to 6-6 in 2016 and then to an undefeated team in 2017. That's why Neal called special teams coordinator Jovan Dewitt and asked to be placed on all special teams units. “Guys are going to compete to start on offense and defense,” Neal said. “Once we started to understand [at UCF] that you have to compete to be on special teams too, that’s when we took the leap from 6-6 to 13-0. A lot of people overlook special teams because they think it’s the dirty work but it’s a third of the game. We made plenty of plays at UCF with special teams plays. According to Neal, that mindset of needing to compete on special teams set in before UCF's 2017 fall camp. He believes his teammates were fighting for the spots on special teams because the Knights' had a lot of good players on offense and defense already. The young players were just trying to find ways to compete and get some playing time. That competition ultimately helped with player development and getting players ready to contribute at a high level. Neal is confident that he can bring a lot to the table on special teams. He enjoys running and hitting, after all. The staff can also put him anywhere and he will do it with no objection. That approach has translated into a strong but truthful message for Neal's new teammates. “I told guys straight up I’m here to work and I’m here to play. I’m here to make you better and make myself better," Neal said. "Don’t be mad because someone comes in but embrace that challenge. They brought me in to come in and play. I want them to embrace that so we can get it out of the way. I’m here to play football. Neal is often asked about the culture in Lincoln. Having played for Frost and his staff at UCF, he saw their culture there. He knows what to expect. His answer to that question provides a good glimpse into where the Huskers have been and where they hope to go now. “You can tell the guys have come a long way," Neal said. "I’ve heard things like it was a bad team last year but these guys are really good guys. I don’t know what was going on last year. As long as we can mesh together as a team, we’ll get better. That’s the key thing, you have to play for your brothers." It'll take some adjustment for Nebraska. Neal admitted the investment is still building, as players are known take occasional plays off. 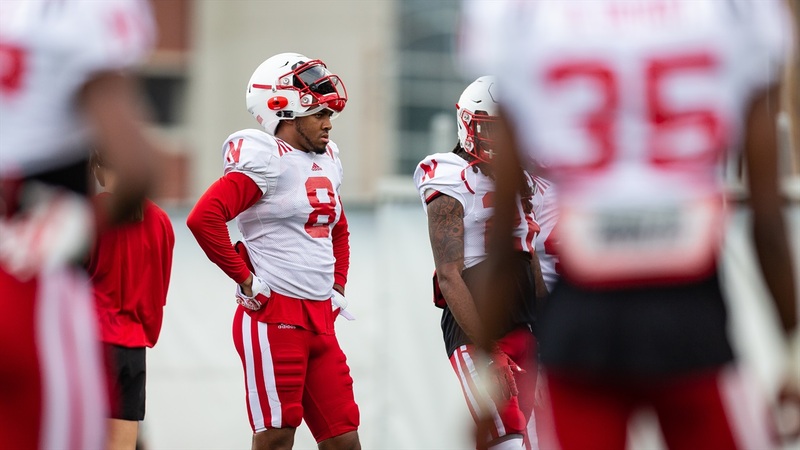 Doing so hurts the team, so Neal is doing what he can to set an example for the Huskers. It also doesn't hurt that he's simply eager to get on the field and play, even if that's only on special teams. He's confident that mentality will take root for Nebraska, ultimately building a stronger culture in Lincoln. "Once we understand that philosophy, that’s when we will develop better bonds," Neal said.